It's important first to take a few moments to work out how you want to use Facebook. Your friends might want to utilize Graph Search to know which bars you recommend, or which brands you like, or what happened when you visited Venice — is this information you're happy to share, or not? That's going to affect how much of the below you can take or leave. But given the pervasiveness of Graph Search, we suggest you take. For more granular control, select the "Custom" option. This allows you to specify certain friends or lists of friends who can see your updates. It also lets you specify certain friends or lists of friends who can't. To sort your contacts into lists, follow the "Friends" link from your own Timeline. Rather than categorizing all of the hundreds of people who appear here, consider creating two lists: one for those who don't mind sharing everything with, and one for those who you'd rather didn't see anything. Facebook in fact already has two lists already set up for exactly this purpose purpose: "Close Friends," who will show up more often in your news feed, and "Restricted." Anyone in your restricted list (such as your boss or your moralizing grandmother) will be unable to see your Facebook updates unless you specify them as "Public" from the audience selector. It's a useful shortcut for dealing with all the Facebook friends you're not really friends with. A quick note on tagging. When you tag any of your friends in a photo, check-in, update or any other activity, they can then see that content irrespective of the audience selector setting. By default, their friends can see it too, which is why people you don't know may sometimes comment on your status or one of your pictures. You can disable this behavior using the "Custom" option from the audience selector. It can also be disabled on your friend's end, but the feature is switched on by default, so be aware. Facebook includes a built-in tool for limiting the visibility of previous posts set as "Public" or "Friends of friends." Click the cog icon on the toolbar (at the top of every Facebook screen), then choose "Privacy Settings." On the next screen select "Limit Past Posts." Read the confirmation message and select "Limit Old Posts" to restrict everything you've ever posted to friends only. Of course, your own updates are only half the story on Facebook. There's all the stuff your friends are posting on your Timeline and tagging you in, from embarrassing events to incriminating photos. All these updates and pictures belong to your friends, which means they control the audience—and who can find them on Graph Search. Still, you're not totally powerless. You can prevent these posts from appearing on your own Timeline, and restrict the ways in which you can be tagged. This in turn limits your exposure on Graph Search. Open your "Account Settings" page from the cog icon drop-down menu at the top of any Facebook page, then choose "Timeline and Tagging." From here you can set up a "review posts" feature that lets you approve or block any attempts to tag you. You can also specify who is able to see posts you're tagged in, and posts on your own Timeline. 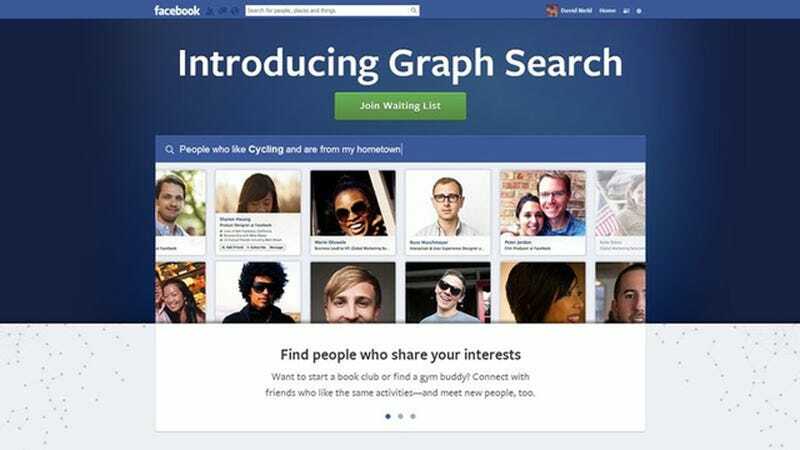 Adjust these privacy settings now, and they'll be waiting for you once Graph Search goes Facebook-wide. Note: It's come to our attention that this actually just hides things from your timeline, but doesn't keep them from being pushed out to others. The best way to lock this stuff down is actually to go review your Activity Log. This post original appeared in February, and has been updated accordingly.